22nd July 2016 – In his final race before the 2016 Olympic Games in Rio Usain was a convincing winner of the 200m at the Muller Anniversary Games in London. The 29 year old Jamaican clocked 19.89 secs to win comfortably from Alonso Edwards and Adam Gemili. 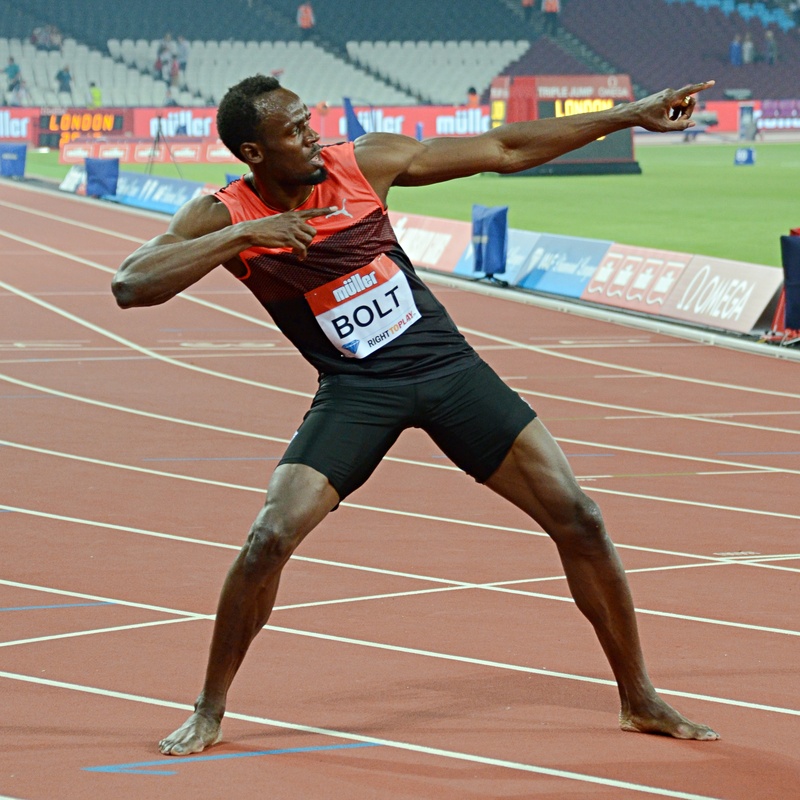 Twelve months ago, Usain Bolt cast aside his injury problems with a 9.87 100m at the IAAF Diamond League meeting in London, proving the doubters wrong and kickstarting his bid for another bout of World Championships sprint dominance. Tonight the world’s greatest athlete returned to the 2012 Olympic Stadium and posted a sub-20-second 200m performance at the Müller Anniversary Games that will send shivers down the spines of his Rio rivals. Bolt’s first 200m of the season, following a three-week lay-off with a hamstring injury, came in front of more than 40,000 fans at the reconfigured arena on a re-laid Mondotrack/WS that’s said to match the revolutionary surface at Rio’s Maracana, where Bolt will next race when he steps out for round one of the Olympic 100m on 13 August. If tonight’s action is anything to go by, those lucky enough to be in Brazil are due for a treat, for a clearly undercooked Bolt led well off the bend before tiring in the closing stages to clock 19.89. With a 9.88 100m behind him this year, Bolt’s need to prove his fitness was not quite as intense as in 2015, but the 29-year-old triple Olympic champion was nevertheless delighted with a time that puts him fifth on the 2016 world list with three weeks of hard training to come. “I’m getting there, I’m not fully in shape and I need more work,” he said. “But over time I’ll be fine. I’ll just keep doing the work.